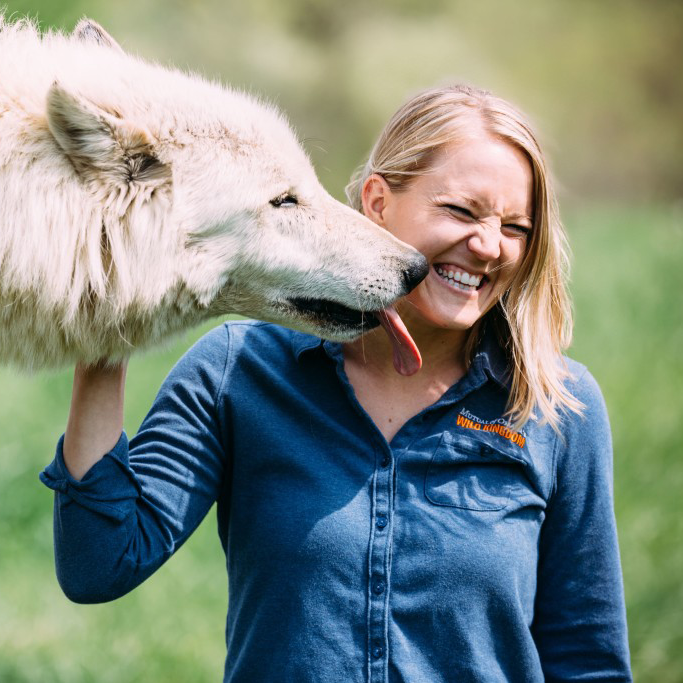 Stephanie Arne – That’s a Wrap on The Creative Animal Tour! After years in the making, the first portion of the Creative Animal Tour is officially complete! Along the way, we met thousands of Americans (and a surprising number of people from around the world) who want to do their part to protect the environment and make the world a better place for all animals, humans included. It was a large goal of ours to make the point to people that we, as humans, are animals too and our daily actions are intimately tied to all other animals on the planet. One of the toughest hurdles we tried to overcome is the fact that everything in our homes is tied to something in nature. 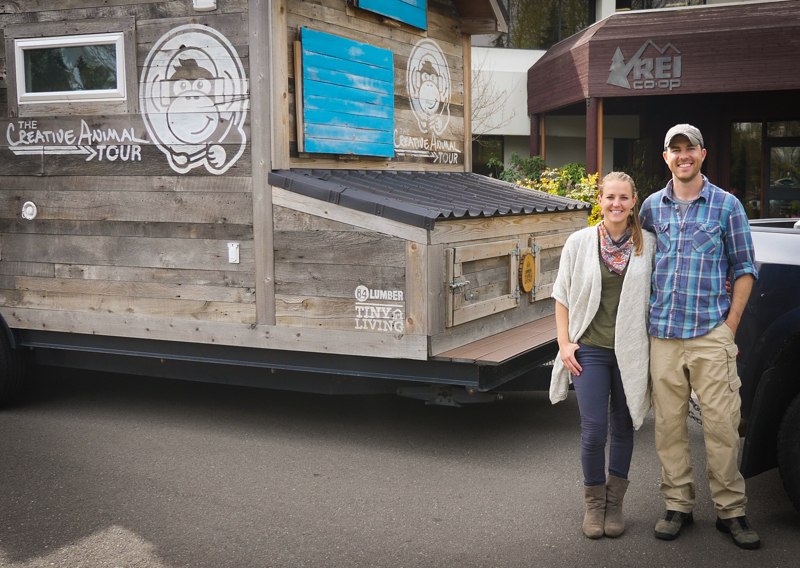 | Myself and fellow tour host, Tim Davison, posing with the house outside of house at our last tour stop: REI Headquarters in Kent, Washington. To make our point, we planned a fifty city tour in the most wasteful country on the planet per-person. 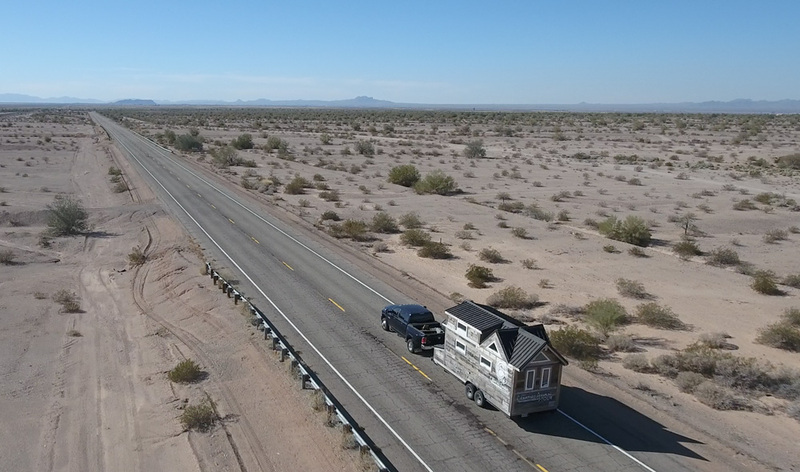 We used our one-of-a-kind tiny home as a mobile metaphor; to allow people to see that our tiny home makes an impact on the tiny home that we all share, i.e… Earth. Over the course of the tour, we spoke at universities, museums, zoos, aquariums, and festivals. We had over fifty thousand people tour our home, and countless others hear our messaging through videos and social media. To highlight our dependence on food, water, electricity, and plastic we placed signage throughout the house that displayed statistics on how much of these the average American uses on daily, monthly, and yearly basis. We then compared these statistics to both the global average and various countries around the world. Our mission was to set out and spread this message. We did that, but we ended up learning far more than we could have imagined.